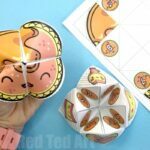 I say these are Mother’s Day Flower Fortune Teller printables.. but they can be used for any occassion really!! We do have a free printable set with “My Mom Is…” perfect for Mother’s Day, but there is also a “blank” Flower Fortune Teller (aka Flower Cootie Catcher) to print, colour and and assemble too. 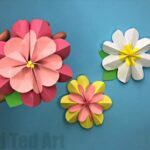 So you can make these as a simple Flower Printable Craft or for Mother’s Day, a birthday or Teacher Appreciation week. 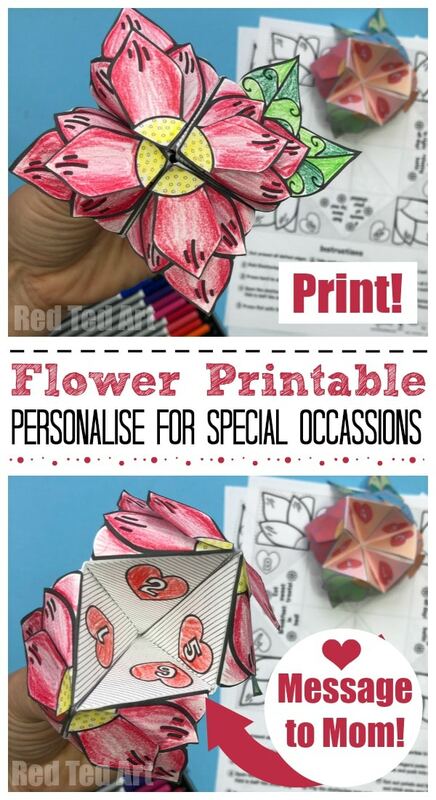 One GORGEOUS Flower Printable.. lots of different uses. 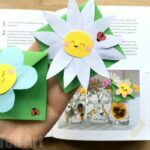 This Mother’s Day Craft was once again created in collaboration with Mrs Mactivity (remember our gorgeous Flower Basket Weaving Cards we did earlier this year).. and as before the results are STUNNING! 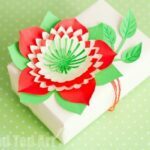 I am so excited to be able to bring you this gorgeous paper craft. You MUST hop over to Mrs Mactivity, who is also hosting a Heart Flower Fortune Teller! 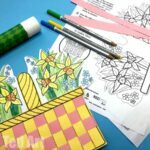 Your Mother’s Day Printable – below are two sets – one fully coloured set 2 and one black & white set of 2 – be sure to pick the set you need and only print out the ones you want (no need printing out all sheets if you are only going to use one) and more designs over with Mrs Mactivity! Oh yes it is VIDEO time again. 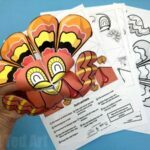 HOWEVER, the printables above have some step by step written instructions to help you make your cootie catcher without the video. The printable is therefore perfect for classroom work! Begin by colouring your Mother’s Day Fortune teller and writing lovely messages to mum!!! 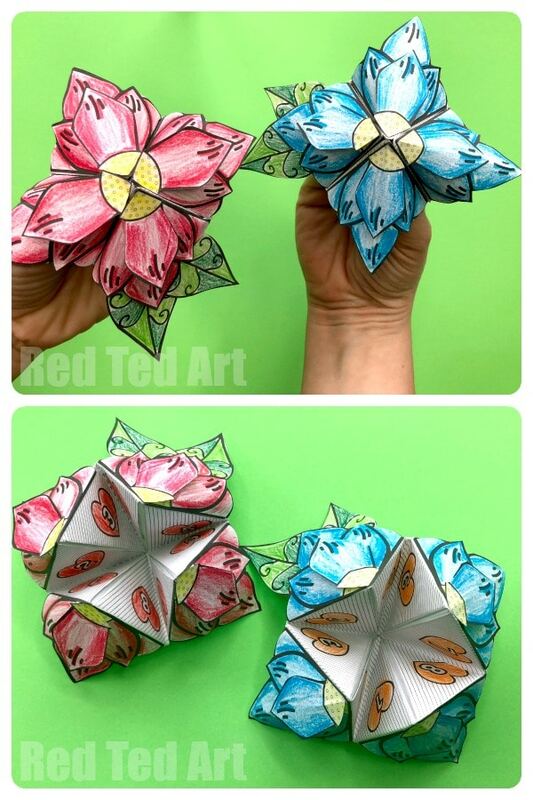 Then cut out your flower fortune teller’s for Mother’s Day. 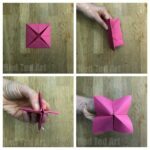 I found it easier to cut the large square first and then the petals of the cootie catcher. Also cut out additional leaves and petals should you wish to add them. 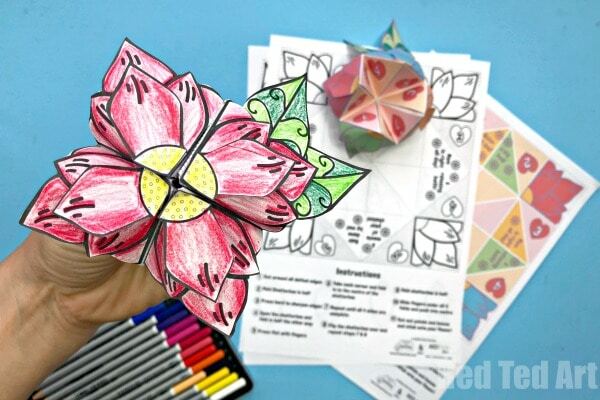 Fold the chatterbox flower in half (with the coloured side on the outside, and the blank on the inside). SHARPEN the edges. 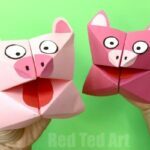 Open the chatterbox and fold in half the other way. Again press flat (you now have a cross runnning across your sheet of square fortune teller paper). Lay flower side down. Take each corner and fold into the centre of the chatter box. So your flowers petals are now pointing into the centre. Flip the chatterbox over and again fold each corner into the centre (this time you will see all the numbered hearts). 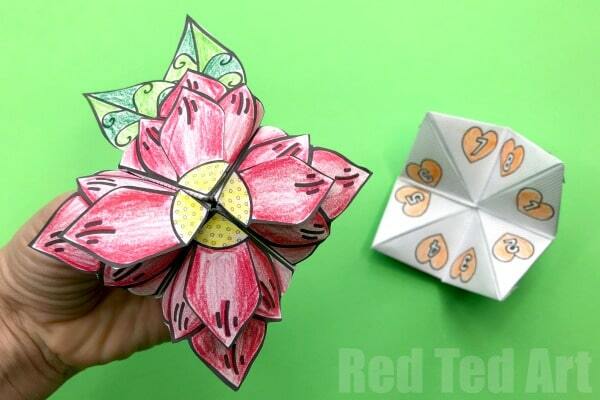 Fold the flower fortune teller in half. Slide fingers under all 4 folds and push into the centre (tricky bit!! Watch the video if need be) and lift the folds out. Finally, you can now glue on your additional petals and leaves. They may dry better whilst the fortune teller is flat, but once fully dried will make your flower 3d and extra special. Surprise mum!!!!!! What a great alternative Mother’s Day Card Printable!!!! !